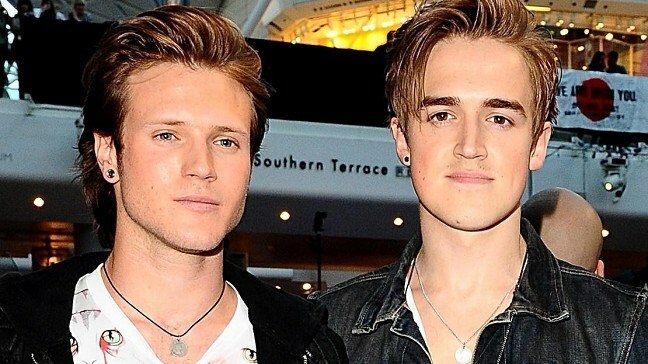 The group's Tom Fletcher and Dougie Poynter will face the questions in a new year edition of the show, hoping to raise cash for charity. Other stars due to appear in a pair of festive shows include culinary superstar Heston Blumenthal, X Factor winner Matt Cardle and boxing champ Amir Khan. Poynter - who recently won I'm A Celebrity ... Get Me Out Of Here! - will team up with his bandmate as they face questionmaster Chris Tarrant on January 3. Also taking part in that show are former jungle champion Stacey Solomon, who teams up with comic Lee Mack, while Richard Madeley will answer questions with DJ Sara Cox. Cox, who will raise cash for homeless charity Centrepoint, said: "I've always wanted to find out what it's like to be in the Millionaire hot seat and luckily I've got Richard to hold my hand if it all gets too much. "I've got my fingers crossed that we can raise lots of cash for Centrepoint and open the new year with a bang." Another festive edition of Millionaire - a live special to be screened on Monday - will see Khan pair up with Jason Manford, Cardle appear with Martin Kemp and Blumenthal take a seat alongside Kate Garraway. The line-up is completed by Fatima Whitbread and Russell Watson.